Tempus, The Chicago based startup advancing precision medicine through the collection and analysis of molecular data has now closed on a $110 million Series E financing round from several firms including Baillie Gifford, T. Rowe Price, Steve Case's Revolution Growth, New Enterprise Associates and other returning investors pushing the total amount raised by the 3 year old startup to $320 million. The company was notably started by former Groupon CEO and co-founder Eric Lefkosky who is also notable for starting Big Data unicorn Uptake along with key partner and fellow Groupon co-founder Brad Keywell. 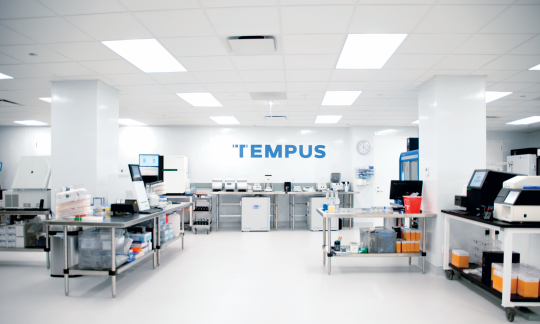 Tempus has built a comprehensive data set for its industry powered by its clinical partners and collaborators across the country, It applies machine learning, next-generation sequencing and AI-assisted image recognition to aid in real time decision making for thousands of physicians. The company has also notably inked partnerships with the American Society of Clinical Oncologists (ASCO), leading academic medical centers, hospital networks, community physicians and NCI designated cancer centers for research and application of data in the healthcare space. Tempus says it touches nearly 1 in 4 cancer patients in the U.S. as of current which indicates a good standing in its market.